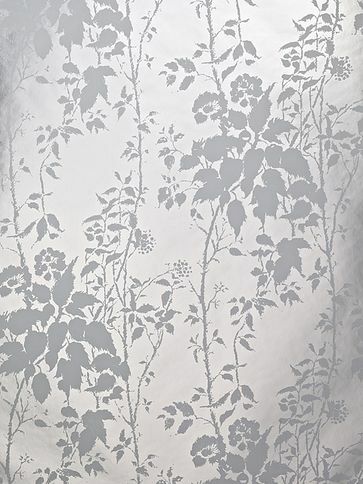 Here's an idea I've become a little bit obsessed with of late: wallpaper in our hallway. This room is (obviously) the point of entrance in to our apartment and one I'd like to make a bit more interesting. It's a smallish space with beigy-grey walls (this colour, to be exact) and off-white/cream build-in cupboards and a desk. I am not sure why choosing the perfect wallpaper to cover just one wall in this space feels like such a major commitment. Also, if you've ever searched for wallpapers you know what a colossal task it is; there are literally thousands to choose from with a huge variety of prints, textures, finishes and colours available. I feel dizzy just thinking about it. When I was little, my parents let me choose a wallpaper for my room. I remember how I loved browsing the big folder with wallpaper samples and how fascinated I was with all the pretty patterns. I ended up choosing a light pink paper with white clouds on it, not such a bad decision even if I think back to it now! For our hallway, however, I think I have to go with something a bit more mature than that; elegant and timeless even. I don't want anything too colourful or bold, that's just not our style. I also don't want the print to be too small because I'm afraid that in such a small space it might end up looking too busy and clustered. 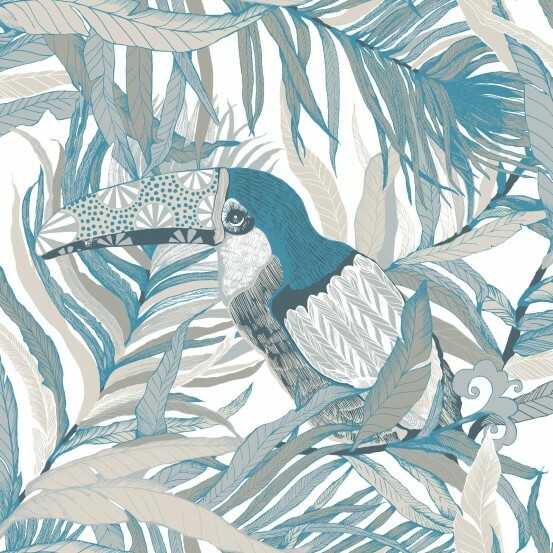 I am drawn towards grey and metallic prints, like this ones from Florence Broadhurst.  I have been absolutely obsessed with Erin Gates' new book 'Elements of Style' (more of that later) and amongst a ton of inspiration I saw this beautiful Katie Ridder 'Leaf" wallpaper covering one wall of a powder room Erin designed. 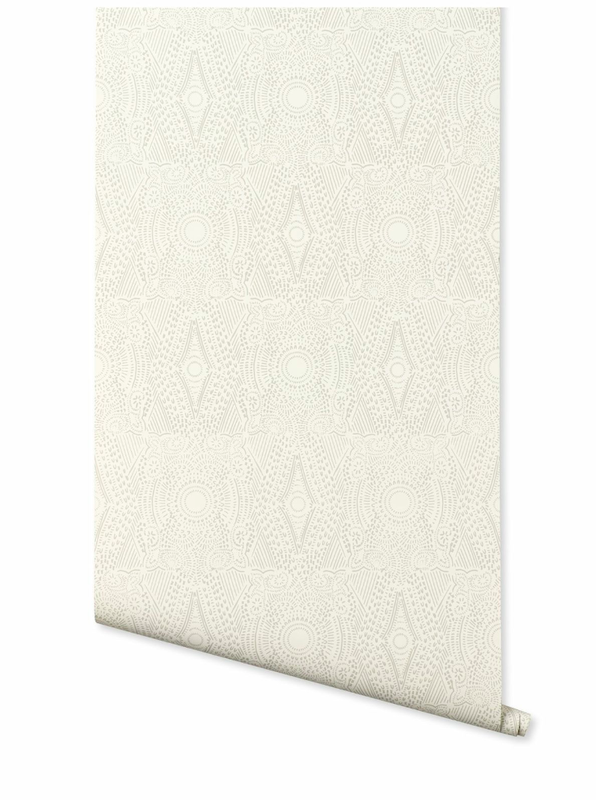 Hygge & West have a great collection of wallpaper, including prints by Rifle Paper Co. Very on-trend, yet classic, like this grey 'Diamante' by Laundry. This print to me is borderline busy, so it might not be a real option, but something to put in the 'someday' files. And then there is Vallila. They have some really pretty floral prints, but how cools is this one! I know, it's not exactly timeless (or is it? ), but there's something so whimsical about it that I love. The search continues! I will give you an update when I've made a decision, but it might take a while! In the mean time, please let me know of any other great sources of wallpaper and I'll add them on to my (long) list of bookmarks - thanks! 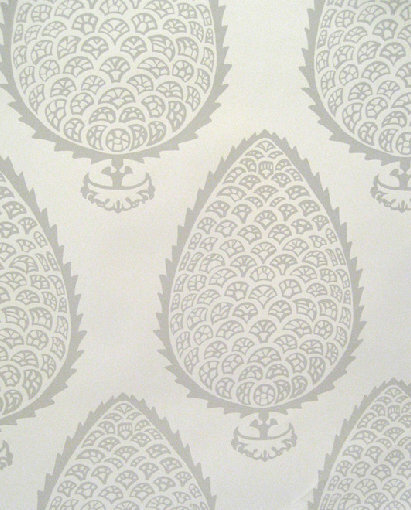 Wallpaper is totally "in" again! Also, I love Erin! !